These are dream cars in the truest sense of the word, because not only are they insanely expensive, but they are also reserved and offered only to whom the manufacturer deems worthy. In short, it’s not enough to have the money; you must be considered good enough to be offered the car, which is what sets them apart from the rest. 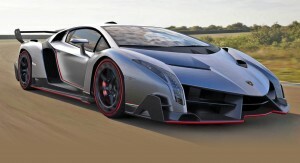 The Veneno was built for the company’s 50th anniversary, and it clearly shows in the price, design and power. The V12 engine produces 750 horsepower and can go from 0 to 60 mph in 2.8 seconds. As powerful as the car is, a convertible version is already in the works that promises more speed and power. At $4 million dollars, you truly get maximum speed and luxury. This is one of the most expensive and mysterious supercars today, because there’s not really a lot of information known about it. 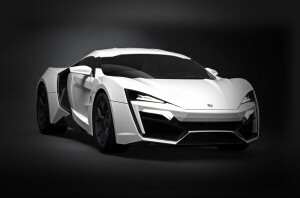 What is known is that the Hypersport comes from Lebanon, has a top speed of 245 mph, goes from 0 to 60 mph in 2.7 seconds and all of this on a V6, which is isn’t as powerful as those used by other cars. Yet when it comes to power and speed, the Hypersport delivers. 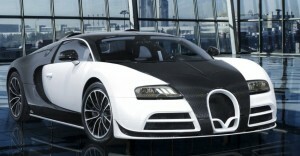 If there’s a car on this list that doesn’t need any introduction, it’s the Bugatti Veyron. The car has a maximum speed of 254 mph, and that’s something you will expect given the 1200 horsepower its engine provides. This Veyron isn’t as fast as the Super Sport, but it doesn’t lack in the aesthetics department, and its combination of power, speed and price has made it into a modern legend. 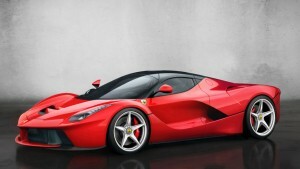 The F60 was built to celebrate six decades of the Prancing Horse in the US. Inspired by the classic Berlinetta, the blue and white F60, when at full tilt, can reach speeds of up to 200 mph and go from 0 to 60 mph in 3.1 seconds flat. 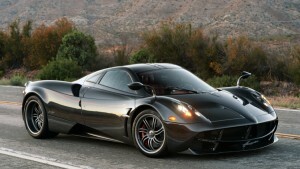 None of these should be surprising though given the fact that the F60 has a V12 engine churning out 740 horsepower. 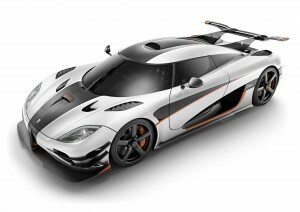 Koenigsegg has become renowned for their superfast cars, and the One:1 is one of their strongest efforts yet. For starters, this is the only road car that has a 1:1 weight to power ratio, and the 1340 weight by the way, includes the driver and full fluids. And what do you get for all that? You get a car that zooms from 0 to 250 mph in less than 20 seconds, and according to Koenigsegg, has a top speed of 273 mph. The Huayra has a top speed of 230 mph and over 740 lb-ft torque, something you will rarely see in other luxury super cars today. Take a peek under the hood and you’ll see the twin turbo charged AMG 6.0-liter V12, and yes, the design is still very much like Pagani. Ferrari has manufactured a number of classic luxury cars, and this V12 powered ride is one of the best yet. Drive the car in standard mode and you’ll get a hefty 789 horsepower, which puts most cars to shame. But if you want more power, activate the defibrillator and watch the Kinetic Energy Recovery System (KERS) generate 950 horsepower. Manufactured from Denmark, the Zenvo ST1 runs on a powerful 7 L V8 engine, which makes it good enough for a maximum speed of 233 mph. In addition, the car can go from 0-60 mph in less than 3 seconds. However, there’s still some question as to how fast the Zenvo can really go as more driving tests are necessary. Even so, the car has earned a place on this list. 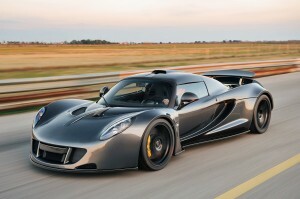 According to Hennessey, the Venom is capable of reaching a top speed of 287 mph, and is locked in a tight battle with the Veyron Super Sport for the title of the world’s fastest legal street car. As impressive as the Venom’s design is the power, with a twin turbo liter V8 engine producing a staggering 1,500 horsepower. The Venom goes from 0 to 60 in two seconds flat. The McLaren P1 is a worthy successor to the legendary McLaren F1, with a maximum speed of 217 mph and going from 0 to 60 in only 2.6 seconds. 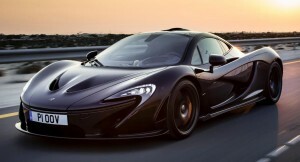 Plus, the P1 reaches 182 mph in 16.5 seconds, and the brake power is one of the most impressive in any luxury supercar. Another one of the strengths of the P1 is the quality control, something that McLaren has always been known for. While the P1 not the fastest car here, but it’s a beauty.